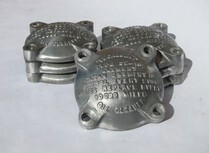 Vintage MG Parts manufacture reproduction oil filter housings and lids for the J4, L and K Type. 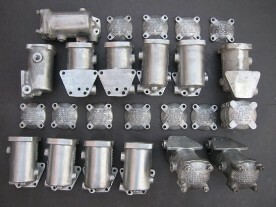 These will take original filter internals as well as our modern oil filtration conversion kits. The first few of our initial batch of filters were for use by Vintage MG Parts and by specialist MMM engine builder, Ken Robinson of Slough Grinding Services to fit to specially prepared J4 style engines. This included modification of the original oil delivery system to remove unnecessary and ugly external pipework whilst maintaining a full flow oil filtration system serving all parts of the engine. Further Information on this modification is available through Slough Grinding Services for whom these filters were prepared for. Cast in LM6 and double vacuum impregnated.